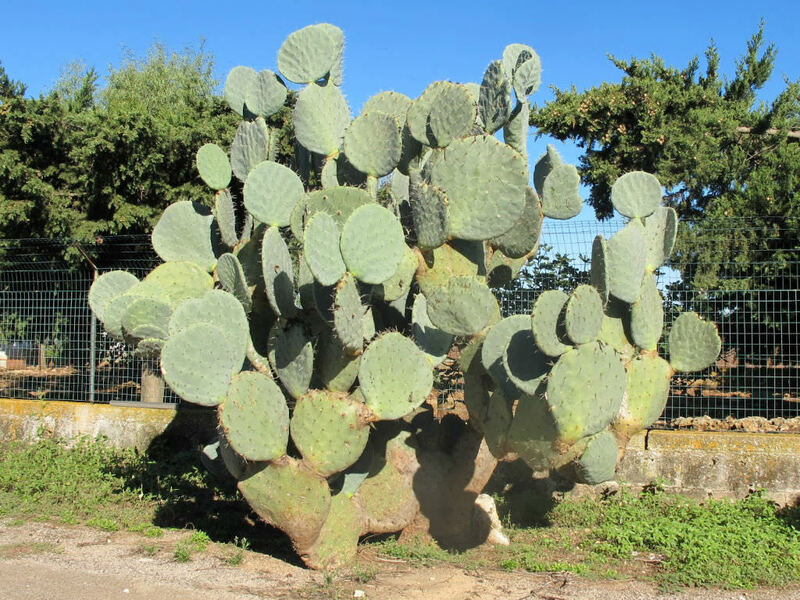 Opuntia robusta H. L. Wendl. 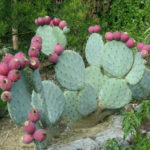 ex Pfeiff. 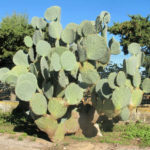 Opuntia robusta is a shrubby perennial cactus, commonly up to 40 inches (1 m), but occasionally up to 10 feet (3 m) tall and up to 10 feet (3 m) across. 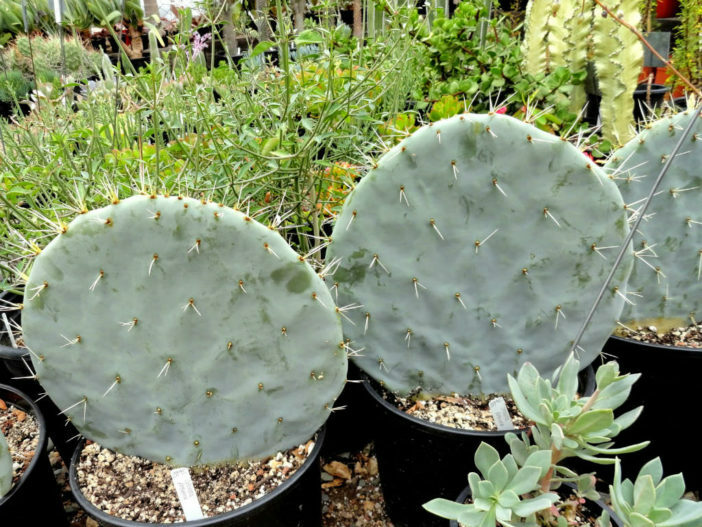 The main stems are much branched and the flattened stem segments (pads) are fleshy, round and blue-green to blue-grey in color, up to 12 inches (30 cm) in diameter and have sharp spines up to 2 inches (5 cm) long. 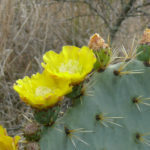 The yellow, bowl-shaped flowers are up to 3 inches (7.5 cm) in diameter and are produced on the edges of the upper stem segments. 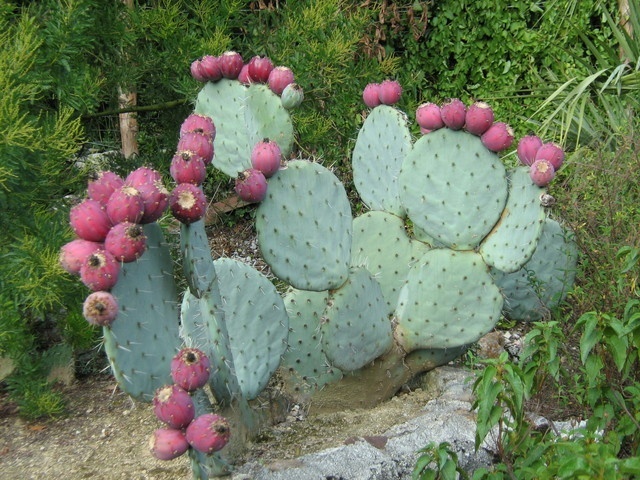 The barrel-shaped fleshy fruits are pink or purple and up to 3.2 inches (8 cm) long. 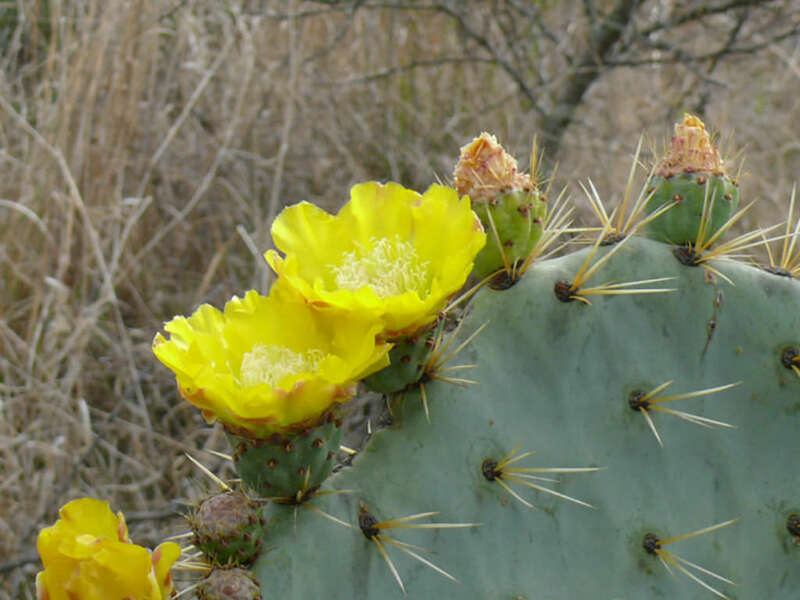 Opuntia robusta is native and endemic to Mexico.